With regulations around bidding wars about to change, one broker has developed a piece of technology he believes will revolutionize the real estate industry and make the home-buying process much more transparent. DealDocket, which Brind co-founded with Drew Donaldson, the executive vice president of SafeBridge Financial, allows real estate agents to register every bid made on a property. Bidders, meanwhile, will be given access to each of the bids made to ensure a fair process. The technology was also a response to pending regulations. The Real Estate Council of Ontario (RECO) recently announced it will adopt changes to REBBA 2002 that will require brokerages to retain a copy of every offer made on a property in an attempt to prevent phantom offers. Those changes, which come into effect on July 1, will make it even more challenging for agents to keep an organized database since the amount of information that needs to be catalogued is more than doubling in some cases. With the DealDocket system, the buying agent uploads the client’s offer directly to DealDocket, which timestamps the offer. 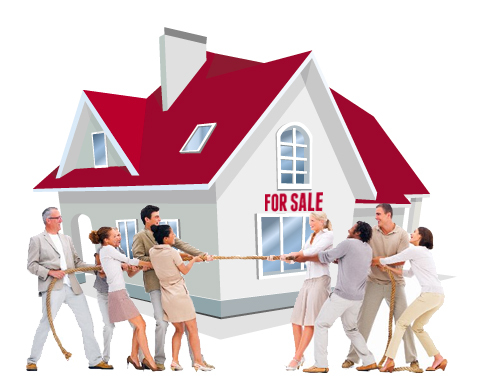 The listing agent, meanwhile, has all the offers organized and summarized in the system. In addition to organizing offers for the listing agent, the platform can also help to calm a potential buyer’s mind after a transaction – whether they were successful or not. While clients can’t see a competing offer in its entirety, they can log in to the system and see the number of offers, the brokerage from which it came and the time it was received. Clients can also see when their offer was opened and in what order it was received. Donaldson and Brind conceived of the idea after seeing too many clients lose out in bidding wars. The platform is set for launch in Ontario with plans to launch it Canada-wide within the next month. It boasts bank-level encryption and the eventual goal, according to Donaldson, is to have a DealDocket number on every MLS listing. Have your say: Would you use an offer-organizing platform, like DealDocket?